I LOVE ROXAS YOU JERK! Oh yes, he's a lovely, cuddley ball of angst. I bet you have the same frame of mind as me. If he does something prickish, you say 'Gawd, he's a prick.' And so on. I say we hit him with an X-Box. Repeatedly. Because I'll delightedly do either. Both. Though Roxas get's hit with the 360 elite because it's heavier. 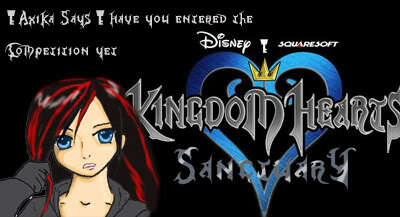 You think they'll do a WII or X-box version of any of the KH's? That'd be cool. I'll hit axel with my Wii stick!! I'd probably hit Larxene with mine. If I had one. Ooh... hit Saix with it and RUN!!!!! Saix: Why you little! COME BACK HERE!